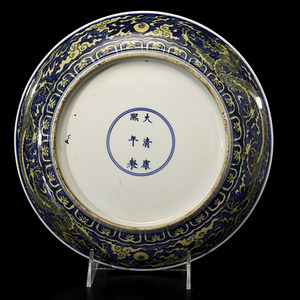 Chinese, Kangxi Mark and Period. 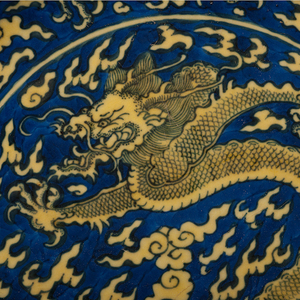 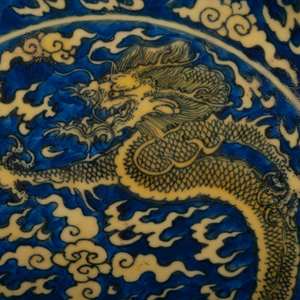 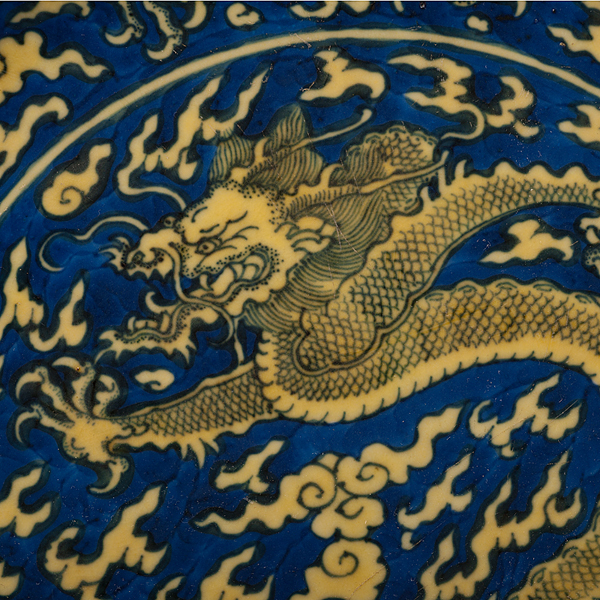 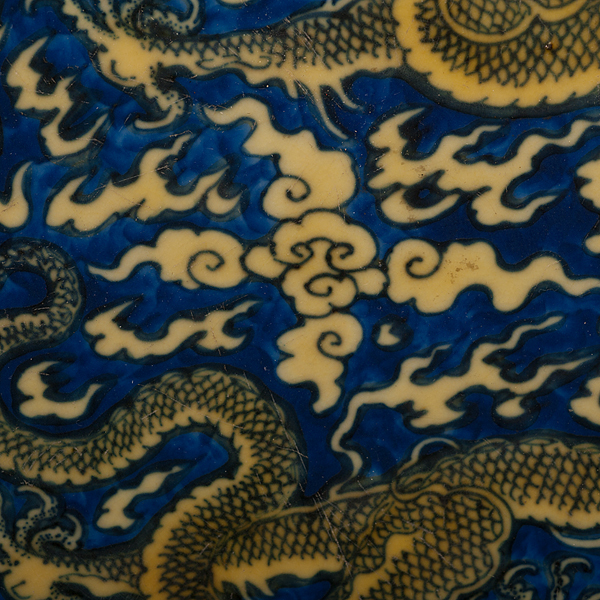 A pair of porcelain dragon chargers, the interior bowl and exterior rim having five-clawed dragons chasing a fiery pearl surrounded by wispy clouds in yellow on a blue ground, with six-character Kangxi mark within double rings in sharp blue on underside, housed in a two-drawer box; dia. 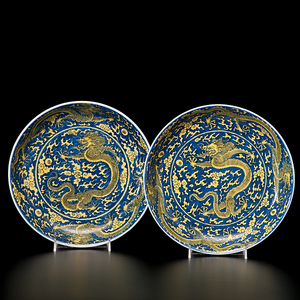 of each 9.5 in. 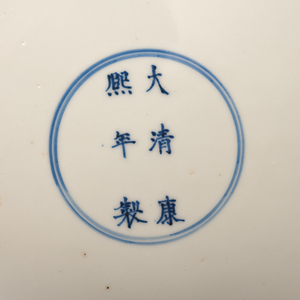 Additional Note: A pair of these chargers is listed in the Illustrated Catalog of the Tokyo National Museum: Chinese Ceramics, vol II, Tokyo, 1990, catalogue #579. 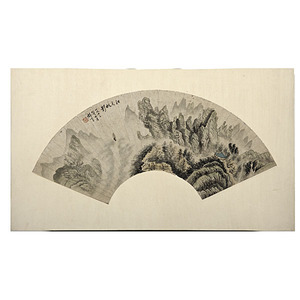 Also, for a compaprable example, please see Sotheby's Hong Kong sale of April 11, 2008, lot 2917. Provenance:From a Private Family Collection in Ohio; acquired in the early 1960's. 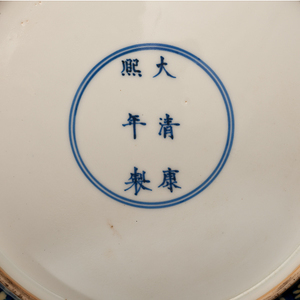 Condition:Original condition. Clean under blacklight and without any restoration.